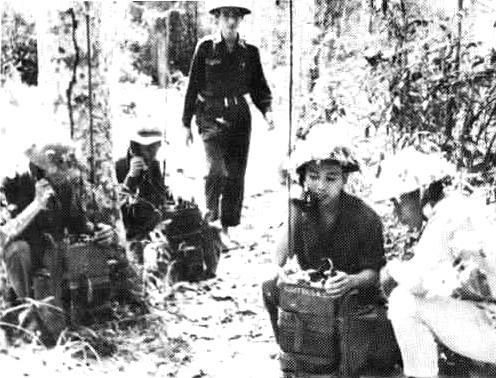 VC Radio Operators in Training In 1954 when the Geneva Agreements were signed ending the French Indochina War, communications in both North and South Vietnam were in poor condition. Military equipment much of it left over from W.W.II, was worn out. Since the French had handled both military and civilian communications their departure left the Republic of Vietnam with little equipment and no native expertise. On the other hand, North Vietnam inherited the resources of the victorious Viet Minh: experienced communicators and a battle tested military signal organisation. While the South Vietnamese laboriously rebuilt military signal units with the logistical and training support of American advisers during the late 1950's, the North Vietnamese interlaced their homeland with an austere, but comprehensive, communications network. By 1960 a powerful North Vietnamese governmental agency, the General Directorate of Posts, Telecommunications, and Broadcasting, had rehabilitated the old French wire network and installed radio-telegraph stations in every province. Encouraged by promises of aid from several Communist allies, North Vietnam then boldly em-barked on an ambitious five-year modernisation plan for telecommunications. The Communists intended to build a national microwave system, complete with automatic switchboards, to supplement the wire network. Automatic radio-teletype and voice radios would replace the existing radio-telegraph system, a slow, manual Morse net. Although few of those hopes for modernisation were actually fulfilled by the end of the five-year term of the plan, the optimistic outlook for North Vietnamese communications probably influenced Communist strategists meeting in Hanoi in September 1960 to consider whether the time was ripe to step up the insurgency in South Vietnam. They knew what prodigious demands such a campaign would make on North Vietnam's communicators. Reliable domestic communications to every province in North Vietnam would be essential in co-ordinating mobilisation of the nation's resources and movement of men and material to the southern front. Since the insurgency was to be orchestrated directly from Hanoi, communicators also would have to establish extensive long-distance networks to meet the needs of both the Communist Party's political administration of an underground government in the faraway provinces of South Vietnam and the military's strategic direction of campaigns against the South Vietnamese Army. To support tactical operations within South Vietnam, the military and political cadres actually conducting the insurgency would require lightweight easily concealed radios. Undaunted by those requirements for domestic, strategic, and tactical communications, the North Vietnamese in December 1960 announced the establishment of the National Front for the Liberation of South Vietnam. Communist leaders tried to insist that the National Liberation Front was a popular uprising of South Vietnamese nationalists displeased with Diem. Although the insurgents had a clandestine headquarters, called the Central Office for South Vietnam (COSVN), in a remote jungle area near the Cambodian border, doubtless Hanoi maintained direct communications with the communist bases throughout South Vietnam in addition to funnelling strategic direction through the new field headquarters. Probably to relay communications from Hanoi to remote areas in the South, North Vietnamese communicators established a large communications complex at Dong Hoi about fifty miles north of the border with South Vietnam. The oldest and most reliable strategic communications system available to the North Vietnamese was the clandestine communications-liaison network in operation since the Franco-Viet Minh War along the Ho Chi Minh Trail. As infiltration increased in the early l96O's, communications-liaison took on increasing importance. 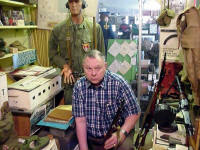 By 1964 two communications-liaison battalions were handling strategic communications and infiltration along the trail. To communicate general information, policy, and propaganda to South Vietnam, the North Vietnamese employed voice and telegraph radio broadcasting. The Vietnam News Agency, an operating arm of North Vietnam's General Directorate of Information, managed the activities of both Radio Hanoi, the official North Vietnamese radio network, and Radio Liberation, a clandestine station located in South Vietnam near the headquarters of the Central Office for South Vietnam. Much of the broadcast equipment had been manufactured in the United States and captured from the French. Recognising early the importance of undermining the South Vietnamese people's confidence in and allegiance to their government, North Vietnamese propagandists began beaming specially prepared programs to South Vietnam over Radio Hanoi soon after the division of the two countries. By 1962, when the South Vietnamese domestic broadcasting network comprised only fifteen small transmitters, all less than 25 kilowatts in strength, North Vietnam had ten 100 kilowatt transmitters and several relays in Cambodia beaming Radio Hanoi's signal throughout South Vietnam. 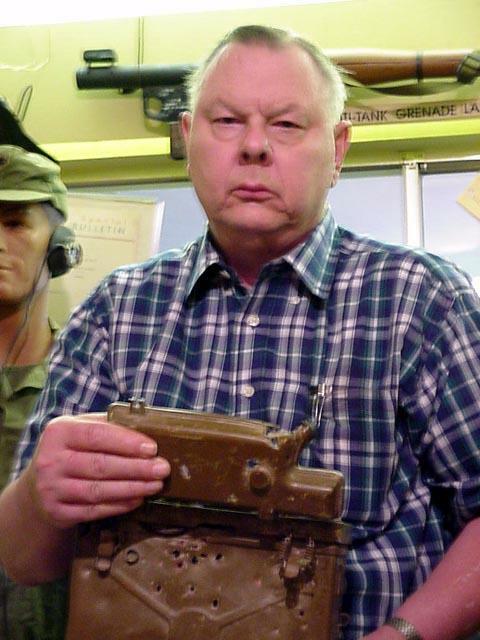 W L Howard holding a Chinese Type 63 Radio Set With 26 Bullet Holes To maintain the facade that the National Liberation Front was a legitimate revolutionary organisation existing in-dependently of North Vietnam, Radio Liberation operated an international broadcast station. That transmitter, however, was located not in South Vietnam, but at the Radio Hanoi communications complex in Me Tri, a suburb of Hanoi. As Communist propaganda assumed an increasingly important role after the beginning of the Paris peace negotiations in 1968, the Me Tri complex grew to house twenty-three transmitters beaming broadcasts throughout the world in ten languages. Of many special communications networks established as the insurgency accelerated during the early 1960's, one operated by the North Vietnamese strategic intelligence service, called the Research Agency, was the most comprehensive and active. To manage its covert operations in South Vietnam, the Research Agency used a combination of radio broadcast, courier, and radiotelegraph. Organised into small cells of three or four agents with cover identities and false documents, the members of the Research Agency lived a seemingly normal life in South Vietnam while covertly gathering intelligence on American and South Vietnamese military and government activities. Because the cell's communicator was the only one routinely to make contact with any member of the Communist movement outside the cell, he had to be especially careful to preserve his cover. The communicators required only a radio receiver, usually a common Japanese transistor radio, to receive missions and instructions broadcast directly from Hanoi. To avoid arousing any suspicion, a cell communicator normally left his radio in plain sight at his place of business or home and at a specified time, on an assigned frequency, listened for his instructions broadcast in Morse code and encrypted. Couriers handled outgoing communications to avoid exposing the cell communicators to radio intercept. If an agent had an urgent message to send to the Research Agency, such as news of an imminent bombing attack, the communicator brought the message to one of several clandestine transmitters hidden throughout South Vietnam for just such a use. As a result, U.S. and Allied Forces captured large numbers of transistor radios. By the time the American air campaign against North Vietnam began, the Communists in South Vietnam, capitalising on political and religious dissension, were well established politically and had accumulated enough military strength through infiltration and recruitment in the South to challenge major units of the South Vietnamese Army. By late 1964 the Viet Cong had an army of 34,000 full-time guerrillas and about 100,000 part-time insurgents and sympathisers, and the North Vietnamese Army was moving several regiments into the northern provinces of South Vietnam. From its jungle headquarters Northwest of Saigon, the National Liberation Front controlled a territorial governmental structure comprising five military regions. Forming a Communist shadow of the legitimate governmental hierarchy within each region, the Viet Cong established committees down to the provincial and sometimes even the hamlet level. By mid-1964 they controlled more than half of the territory in twenty-two of South Vietnam's forty-three provinces. Even after the size of the Viet Cong organisation grew unwieldy, leaders in Hanoi were reluctant to relinquish control of the insurgency to the National Liberation Front. They continued to attempt to disguise their direct involvement in Viet Cong operations and to perpetrate the myth that the National Liberation Front was conducting a popular rebellion. To control and co-ordinate the activities of Viet Cong and North Vietnamese Army units operating in critical areas of the northernmost region of South Vietnam, Military Region 5, the high command established National Liberation Front headquarters there. Because of the protean evolution of the insurgency, there was little standardisation of Viet Cong signal organisations or equipment. 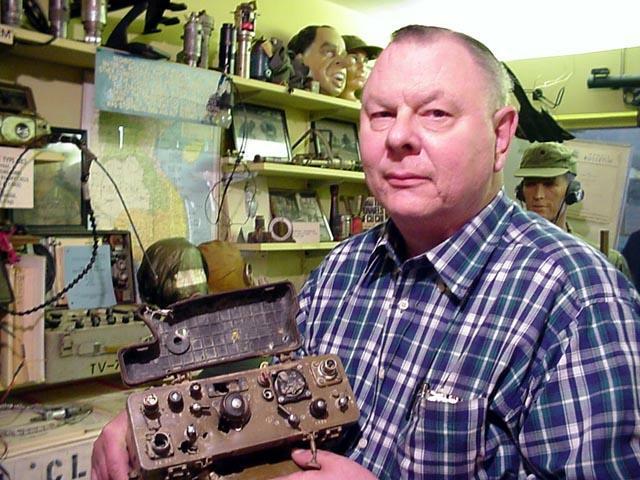 Most signal units traced their origins to a single communicator serving as both radioman anti messenger to a small Viet Minh cell during the 1950's. As the movement grew, so too did the communications organisations. In 1965 some uniformity in the organisational structure for communications began to appear: the Central Office for South Vietnam and Military Region 5 were each supported by 4 signal battalion, the other military regions and the infantry regiments all had organic signal companies, and provinces and battalions had signal platoons. Divisions of the North Vietnamese Army fighting in South Vietnam were supported by organic signal battalions. By late 1966 the Viet Cong and the North Vietnamese had approximately 150 combat battalions in the field under the command and control of thirty-two regimental headquarters and seven divisional headquarters. Besides the organic signal units assigned at each level, that entire force was supported by three area support signal battalions. Dictated by the needs of the war and by available resources, command relationships, signal configurations, and organic equipment changed throughout the course of the conflict. Most communications units conformed to some type of tripartite organisation- a battalion would have a radio company, a wire or telephone company and a messenger company. Whatever the organisation, the quality and availability of Chinese, Soviet and captured American equipment usually dictated the actual capability of the unit. As the magnitude of the Communist military effort increased, new units assumed some missions of overburdened units. By 1972 for example, several signal battalions were supporting COSVN headquarters. For a more thorough analysis, the reader should consult Chapter 16 of the book, Military Communication, A Test For Technology, by John Berger, from which the foregoing was extracted. Let us now turn our attention to the tactical communication equipment used by the military forces of North Vietnam and the Viet Cong. By the mid-1960's the Chinese began to increase the amount of aid they provided the North Vietnamese. As a result the NVA was equipped almost exclusively with radios made in China and these began to move south into the Republic of Vietnam where they were eventually captured by U.S. Allied Forces. 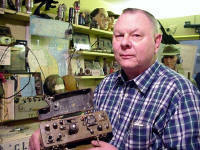 The United States Army had several classified documents that dealt with foreign radios. The FOMCAT Foreign Material Catalogue (SECRET) and a small green book put out by USAEUR, the U.S. Army Europe, that dealt with Soviet radios and was classified CONFIDENTIAL. Therefore, since there documents were classified, we could not inform U.S. troops of these radios in an unclassified manner. We in Technical Intelligence did secure permission to write about items in and unclassified format if the set was captured in South Vietnam. By international agreement, the first "new" item captured in Vietnam went to the South Vietnamese government and subsequent items went to the U.S. Army. In July 1967, the only issue of the Technical Intelligence Bulletin was published by the Combined Materiel Exploitation Centre (CMEC). Most of the known radios that were in service in Vietnam were covered in some detail in this T.I.B. The CMEC also had an extensive display of captured radios and other communication equipment and was on the briefing circuit for incoming intelligence personnel. Telephone systems were not employed on any large scale and were usually used in the higher headquarters in secure areas such as Laos and Cambodia. Occasionally this equipment was captured by U.S. and Allied Forces. The main field telephone was the Chinese Model 0743, a copy of the Soviet TAI-43, copied from the WW II German field telephone. A Chinese 10-line cordless switchboard was the most commonly encountered item. There were also Yugoslav desk telephones, Polish storage batteries as well as captured U.S. EE8 telephones. There was also a Field Telephone that resembled the US EE 8 but in a leather case and apparently made in Japan was recovered. By the end of the US involvement several variations of the Chinese Model 0743 telephone had been recovered. There was an export model which had a different number and still another variation called a CX 2 telephone. The only difference seems to be the data plate. Routine administration and logistic matters were handled by couriers who carried recording tapes from point to point. Correspondence was put on magnetic recording tape which meant that a lot of material could be transferred in a small space. The most commonly encountered recorders were the small reel-to-reel sets that came out before the cassette recorders were on the market. Most of these recorders did not have a pinch roller and the speed of the tape across the recording head depended on where in the reel the tape was, the last portion usually going slower than the first part. In addition, the drain on the batteries was very heavy and as the batteries were worn down, tape speed slowed It did give the VC a secure means of transmitting routine communications. Radio communication was usually reserved for operations and intelligence with intelligence having the higher priority. Operations orders could be transmitted by courier but intelligence needed a faster means of transmission. 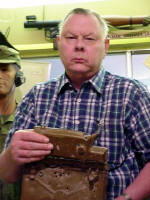 There were several different types of radios in use by the North Vietnamese and the VC.